Street photography often works best when subjects are caught unaware. Street photography is an engaging Technique that is a challenge to many photographers. Most people are intimidated by the thought of pointing a camera in the face of a total stranger. This bold approach (just walk up and ask) can result in fascinating street portraits. But not everyone has the moxie to confront strangers in the street. Pointing a camera at people often causes a reaction. It changes the dynamic of the interaction, making it difficult to get candid scenes that catch people unaware. Some people might even object or get angry. Another approach is to secretly shoot from the hip. Set the lens on wide, leave the camera hanging on its strap and point it in the general direction you want to shoot. Then just push the shutter when you see an interesting subject. It’s an unobtrusive way to capture street scenes and you’re unlikely to be noticed or attract attention. But it’s hit or miss and you can cut off heads or end up with bad framing. Nikon WU-1a and WU-1b Wireless Mobile Adaptors. What if you could see the camera image and fire the shutter without picking up the camera or touching it? Some newer Nikon cameras have this ability using the Wireless Mobile Adapter WU-1a (1b). This clever and inexpensive device provides a Wi-Fi connection that broadcasts the picture your camera sees to your mobile phone or tablet. The camera can be hanging around your neck or over your shoulder and you can see the camera’s image on your phone. When you see an interesting subject, point the camera by turning your body to aim it. When you have the shot push the shutter release button on your phone and the camera shoots the picture remotely. No one will know you’ve taken their picture. It just looks like you’re texting or doing whatever on your phone. 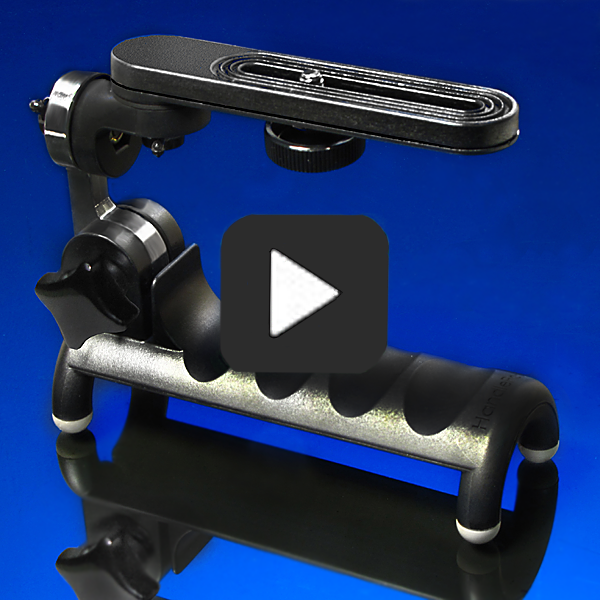 For more information, check out this YouTube video on the Wireless Mobile Adapter. This is a super sneaky way to secretly shoot street photos without being observed. It’s so easy it might seem unethical. But keep in mind that spaces open to public view are fair game. Just avoid private locations and be respectful. This street portrait was captured by asking to take the subject’s photo. The most direct approach to street photography is to simply confront the subject and politely ask. Many people have no problem with cameras and are willing to pose like the young lady in this photo. But if you are uncomfortable engaging with subjects or obviously pointing your camera at strangers, the “shoot from the hip” technique can result in interesting photos. And if you want to look through your camera without obviously aiming at strangers, the Wireless Mobile Adapter will do the trick. This entry was posted in Tripod Alternative on June 28, 2016 by main user.